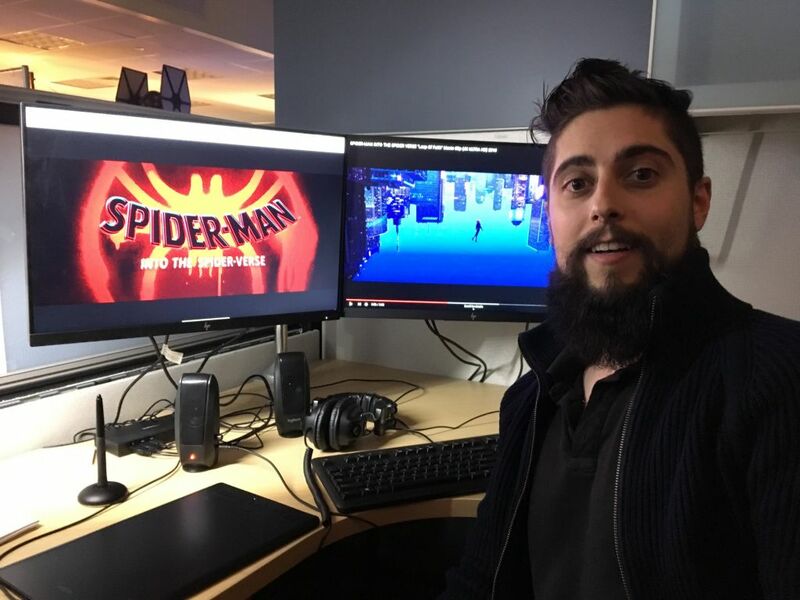 Algonquin animation grad Scott Armstrong worked on Spider-Man: Into the Spider-Verse. He was the senior rough layout artist during the production of the film. With the help of an Algonquin animation grad, Spider-man: Into the Spider-Verse, is an Oscar nominee for best animated feature. Scott Armstrong, 31, attended the college in 2006 and graduated in 2009. 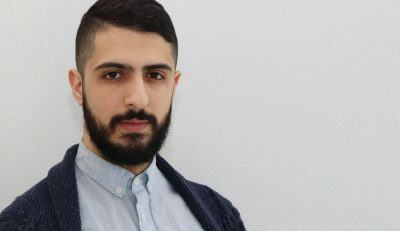 The Sudbury native’s most recent position was the senior rough layout artist for Spider-Man and he has worked for various companies such as: Sony Pictures Imageworks, Walt Disney Animation Studios, Nitrogen Studios and Mercury Filmworks. Armstrong’s student film, Shoenanigans, won his first award for best student film at Cinefest, a Canadian film festival. The first job he landed was at Mercury Filmworks in Ottawa as a 2D animator. Since then he worked on Frozen as a rough layout artist at Disney Animation in L.A. and Sony Imageworks in Vancouver on several feature films. Currently he is at Blue Sky Studios in Connecticut. Armstrong created another short film recently called Farewell Fire which screened at festivals all over the world and won several awards. Neil Hunter, co-coordinator of the animation program, remembers that Armstrong was a part of a small group who entered the 3D stream at the college for third year. They were a very tight group who competed with one another in healthy competition to try and top each other’s achievements, but always shared tips with each other. Armstrong consistently did more work than his classmates who were also working on their student films, Hunter said. 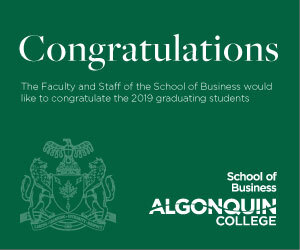 As for Armstrong, the Times caught up to him via a Q&A email exchange to learn more about his work and life since graduating from Algonquin. Times: What inspired you to choose animation as a career path? Was it just a passion or did a person inspire you to choose animation? Armstrong: The first time I thought of animation as a legitimate career option was in high school. One of my art teachers suggested it and my parents found a local Sudbury animation studio called March Entertainment which offered a short one-week internship for high school students. It was a fun way to experience what it was like to work in an animation studio and I received some good suggestions there for college programs, which is what led me to Algonquin College. Why did you choose Algonquin for animation? Do you believe Algonquin’s animation program gave you the skills needed to be prepared for a career? I chose Algonquin College for animation because of the high praise it received from some of the artists I worked with briefly at March Entertainment, and I was very fascinated by their course outline which described dedicating the final year to making a short film. I really wanted to be a storyteller. Do you believe that Algonquin’s hand-drawn animation lessons were beneficial? The hand-drawn animation lessons at Algonquin College were crucial to developing technique and discipline. You can’t just jump onto a computer with no drawing skills and expect to create appealing poses with characters. Having worked in the industry for 10 years now, it is easy to spot the artists with no drawing skills because in all honesty their work is just not on par with the artists who have studied hand-drawn techniques. You worked on a lot of layout; was this your strong suit in school? I would say layout was my strong suit in school and the class I enjoyed the most, now that I think back to it. But I was set on becoming a professional animator, and I did fulfill that goal. Once I started working in the industry, however, I started to learn that layout, especially at the feature film level, was more about storytelling, not just camera and character staging. Since the initial reason I was interested in animation was to become a storyteller, I feel like I just naturally shifted into layout professionally. Are you content with what you are doing now or are you still striving to move up to what you want to do? Right now, I am pretty content with what I am doing. I am a lead with a lot of responsibility and people value my input. I am also an independent filmmaker and love writing and directing my own short films. I have been very fortunate with my career and do not take it for granted. What are your future dreams and ambitions? Have you reached them or are you still working towards them? I guess one of my dreams would involve becoming a director of a feature film. But mostly I am just happy working on projects that I find meaningful and challenging. Did you know that the multiple films you worked on would be nominated for awards? It’s hard to really predict that projects I worked on would be nominated for major awards or win them. To be honest, it is nice to see, and I love celebrating those achievements with all my coworkers, but it’s not that important to me to win awards. The thing about winning awards is that naturally those award-winning films will gain more exposure, and that’s ultimately the goal for all projects I work on; for as many people to experience them as possible. So, in that regard winning awards is useful and gratifying. What was your feeling when you received your first award at film festival Cinefest for your short film? Were you confident at that point that your career would move forward? Winning CTV’s Best Student Film award for my first short film at Cinefest was a wonderful experience and incredibly gratifying because I worked very hard and passionately on that project. It was a great boost in confidence that this career was the right choice for me. Also, as a bonus, winning an award in my hometown with my family present was unforgettable. What was your favorite show/film you worked on? My favorite project that I’ve worked on is definitely Spider-Man: Into the Spider-Verse. As a kid growing up watching Spider-Man cartoons and playing with the action figures, it was like a dream come true. And creatively it was the most satisfied I’ve ever been with a professional project. I can truly look at sequences from the film and say to myself “wow that is my idea,” which can be a rare thing in this industry to be given that much creative freedom and trust. What exactly did you do on Spider-Man? Do you want to work on more superhero-themed movies or do you want to try other themes? As a senior layout artist on Spider-Verse, I worked on a lot of sequences, mostly action sequences, which is something I requested. Our first job in layout is to interpret the 2D storyboards in a 3D space, so we begin setting up cameras and staging characters and planning out the choreography of a sequence of shots. Usually you have one layout artist per sequence of the film. Some directors like you to translate the storyboards almost literally 1:1 with the drawings without much room for creative ideas, but luckily on Spider-Verse we worked in a very organic way where the directors encouraged us to try anything and everything, so a sequence could change dramatically once in layout, and even further once it went to animation, lighting, etc. I think the film looks very unique because of that process. I would be interested in working on other superhero projects as long as the subject matter is interesting and there’s a strong, emotional story. Lots of fancy imagery doesn’t mean much if you can’t relate to the characters or if you don’t care about their world and struggles. What was the hardest thing about working on Spider-Man? What was your favorite part you worked on? The hardest thing about working on Spider-Verse was knowing there was so much potential with the film and being afraid that we couldn’t pull it off in the time that we had. We had so many brilliant artists working incredibly hard on this project for years, and we were all dedicated to making something that was truly unique and compelling. My favorite part was seeing it finished at the first screening and being amazed that it all came together. Would you recommend Algonquin’s animation program to artists and why? I would certainly recommend Algonquin College’s animation program to anyone who aspires to making a career in animation and film. It’s a great facility with fantastic professors who prioritize the fundamentals of animation and the importance of drawing. Do you get to attend the Oscars or any of the award shows that the movies you worked on are being nominated in? I have attended a couple awards ceremonies but not the Oscars. It’s always a wonderful experience where you get to meet and party with people in the industry. We are lucky in this industry to be recognized by so many people around the world and to occasionally get awarded for our efforts. Animation grad swings into action with Spider-man movie Reviewed by Joshua Ambar on February 8, 2019 .